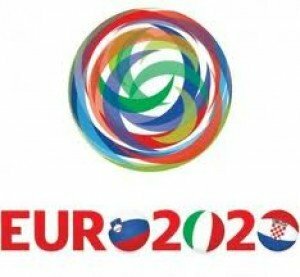 Euro 2020 championship finals will be held in a number of cities across Europe, UEFA has announced. It means there will be no one country hosting the tournament, which will have expanded to 24 teams by then. The Football Association has already put forward Wembley to European governing body UEFA as a possible venue for the final. A spokesperson for the Football Supporters’ Federation said the move was “one which will divide fans’ opinions”. “When the idea of a pan-European tournament was first proposed our primary concern was that supporters across the continent were properly consulted before anything was set in stone. UEFA’s executive committee took the decision at a meeting in Lausanne, Switzerland, on Thursday. UEFA general secretary Gianni Infantino told a press conference after the meeting: “Some important decisions have been taken. “Uefa Euro 2020 will be staged across the continent, in various major cities, following a decision taken today. A Euro for Europe follows an initial idea by UEFA president Michel Platini, who described it as <<an idea I feel really passionate about>>. Gianni Infantino confirmed that only Turkey, who had had initially bid to host Euro 2020, opposed the decision through the country’s UEFA vice-president Senes Erzik. The next competition in 2016 will be hosted by France and will be played with 24 qualifiers at the finals. Gianni Infantino added the bidding process for the host cities would start in March and decisions would be made in the spring of 2014. Michel Platini, who won the tournament in 1984 with France, floated the idea as a way of avoiding high costs at a time of financial hardship in many countries. Higher than expected costs and building delays caused problems for the 2012 tournament in Poland and Ukraine. “It will be a lot easier from a financial perspective for all the countries,” Michel Platini said in June.